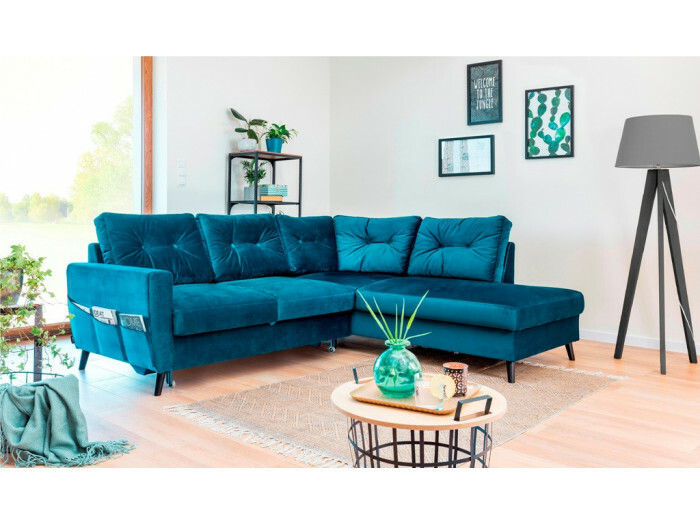 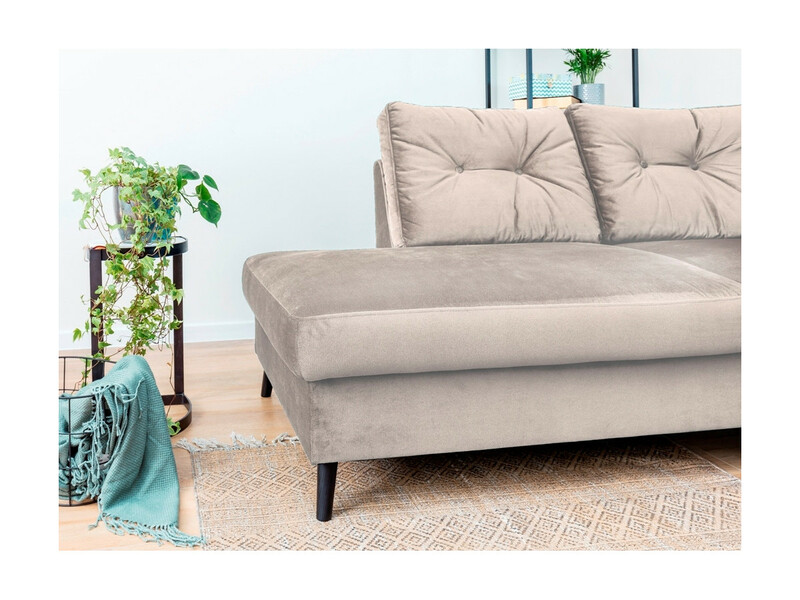 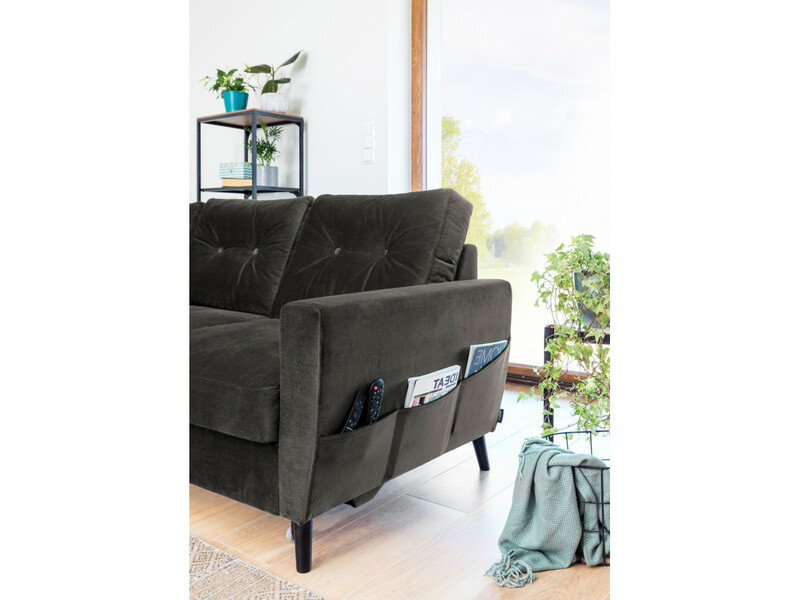 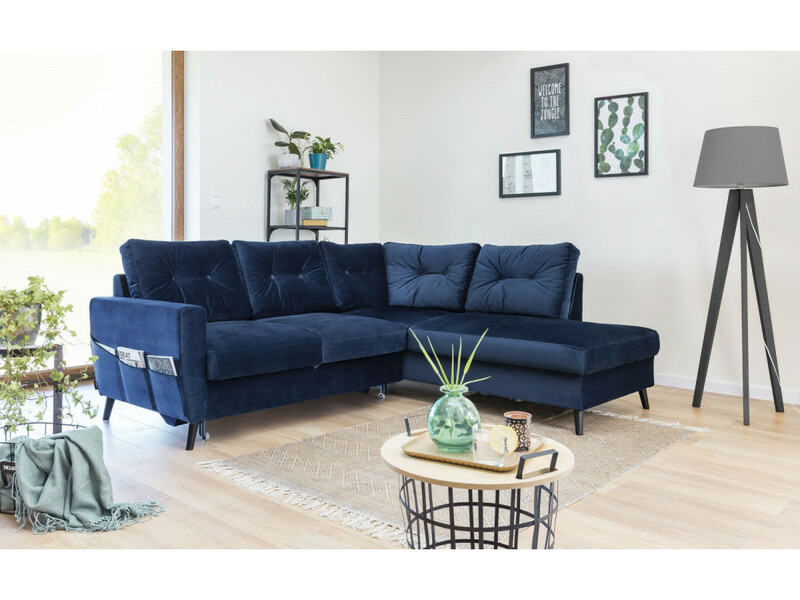 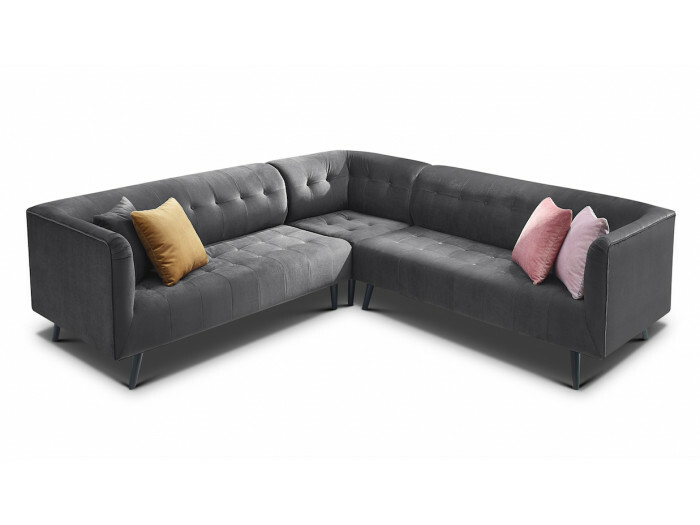 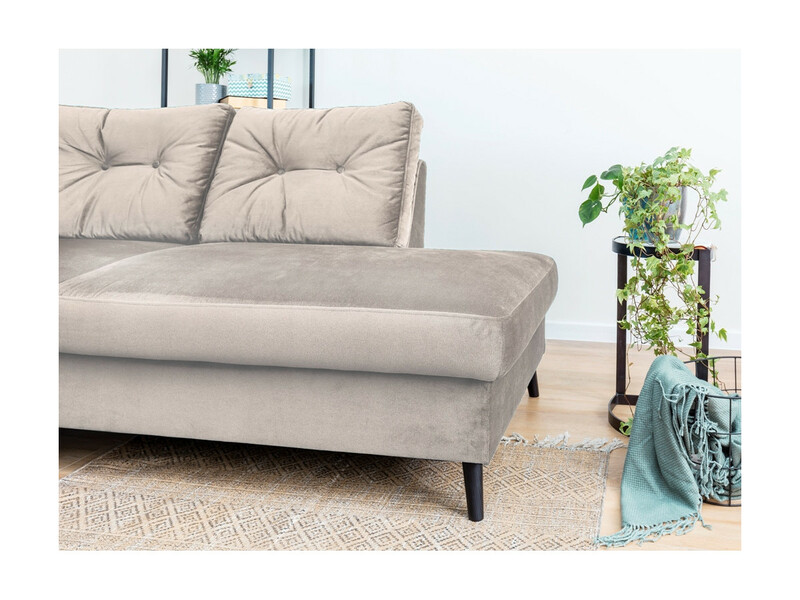 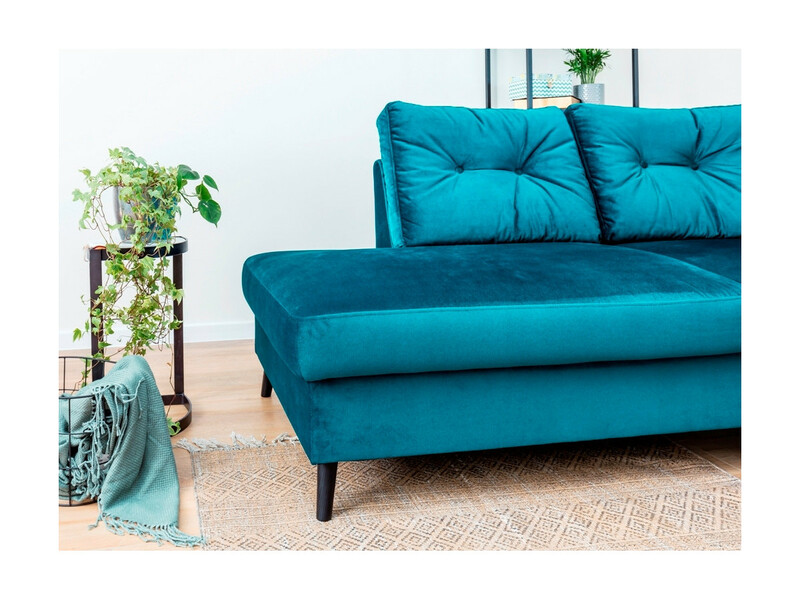 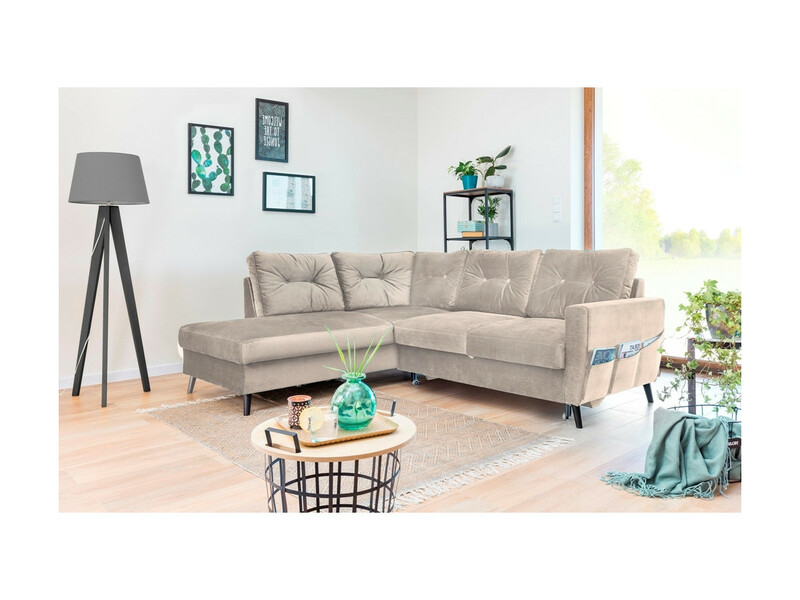 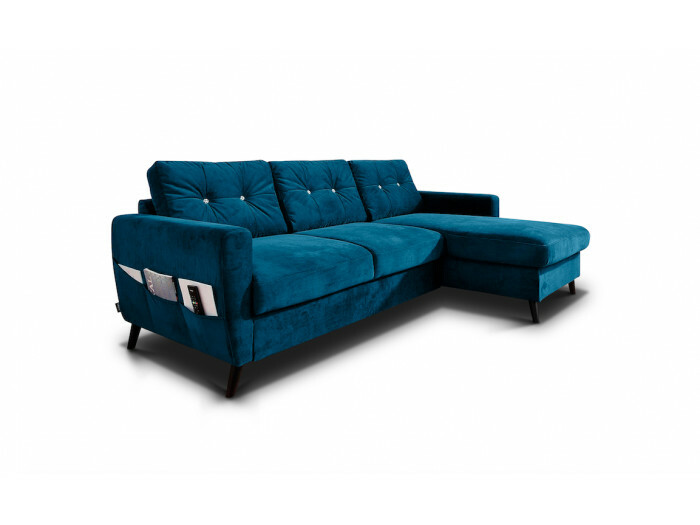 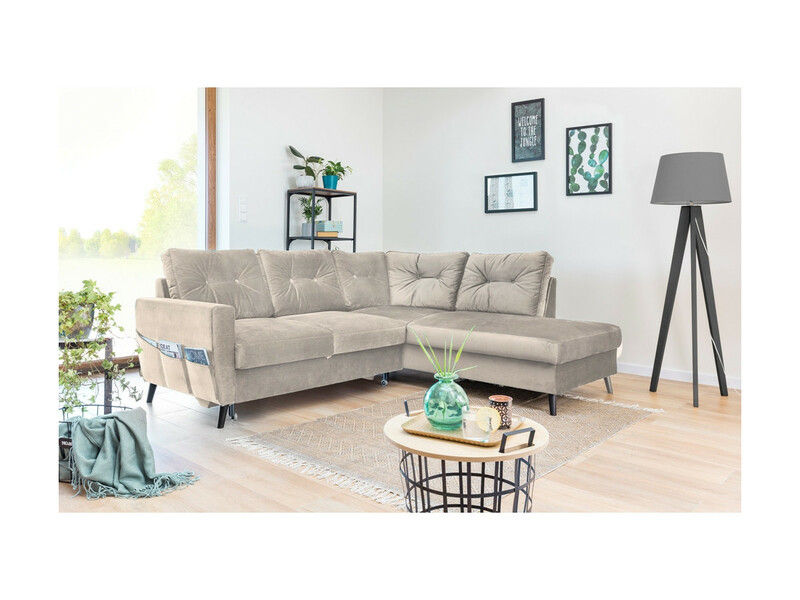 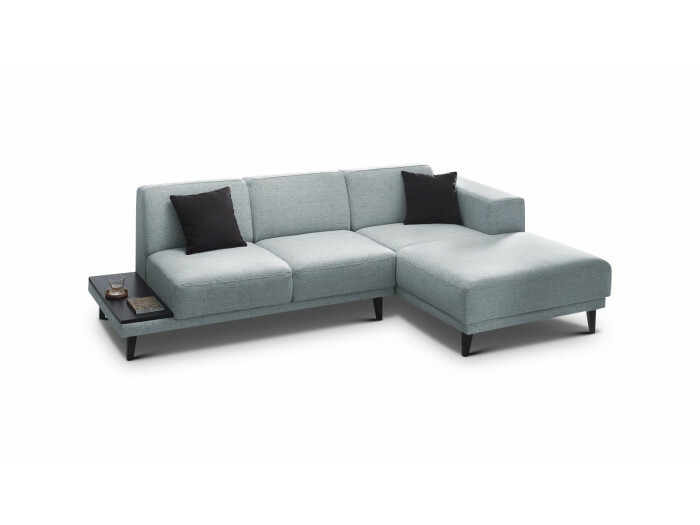 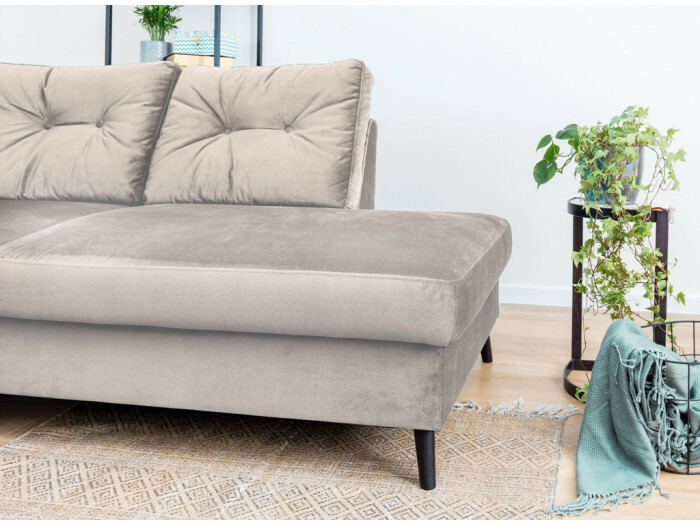 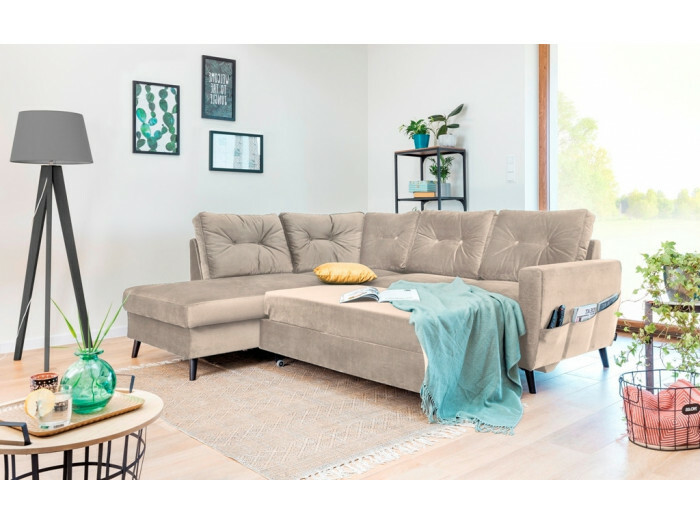 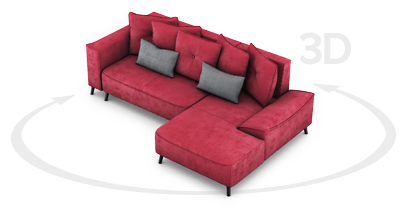 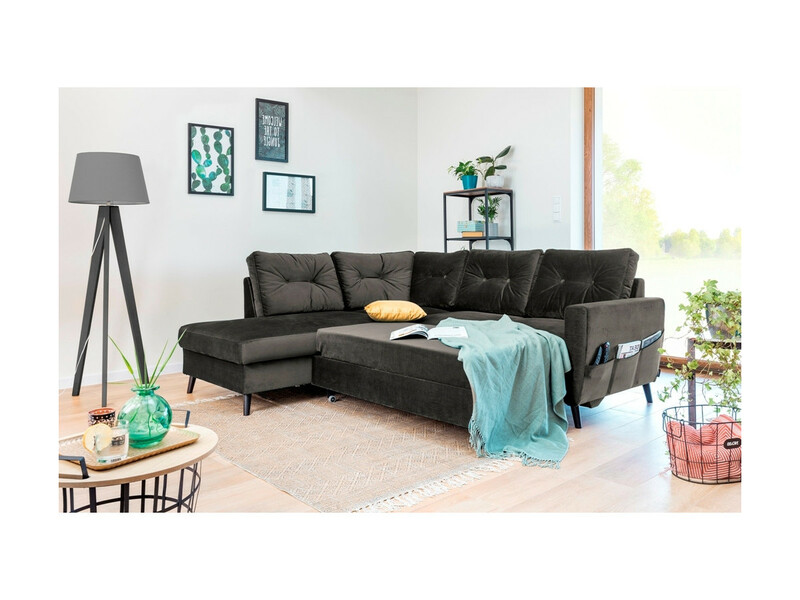 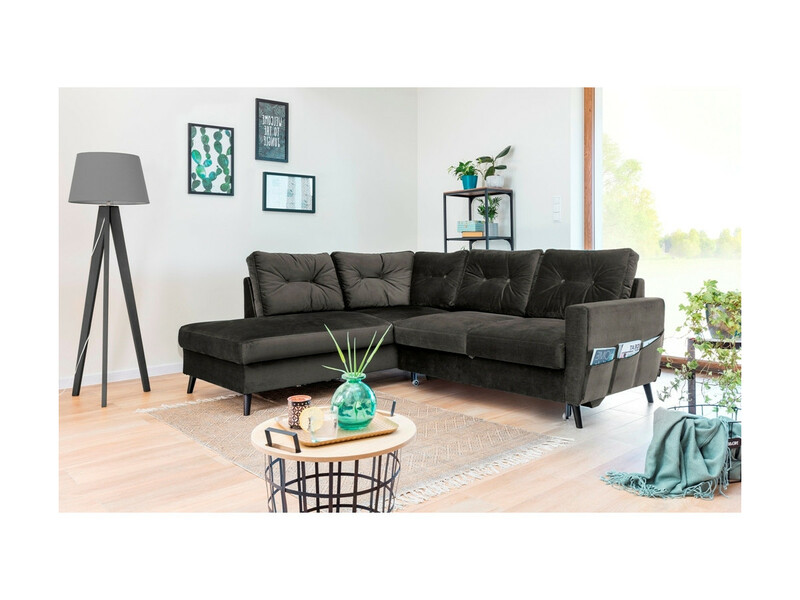 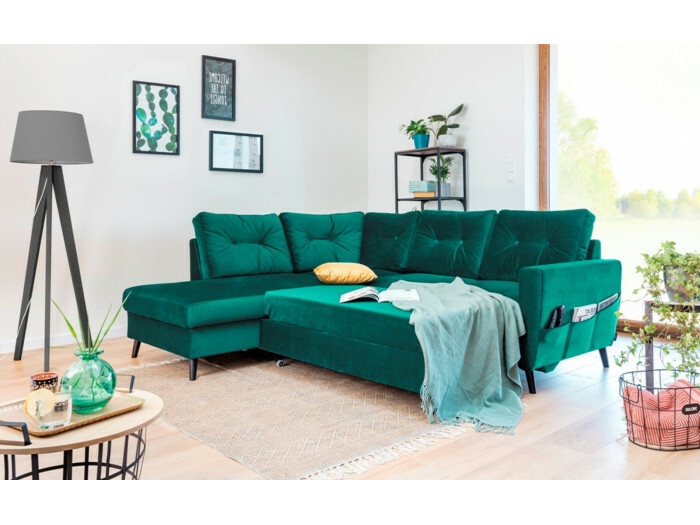 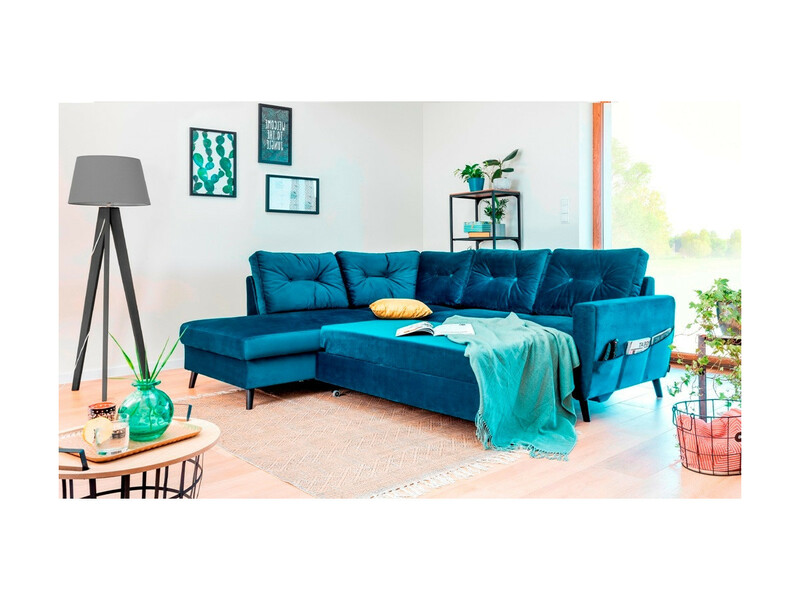 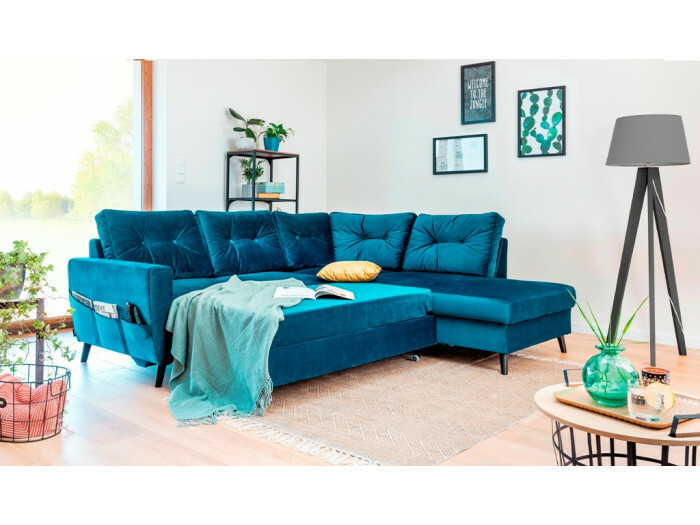 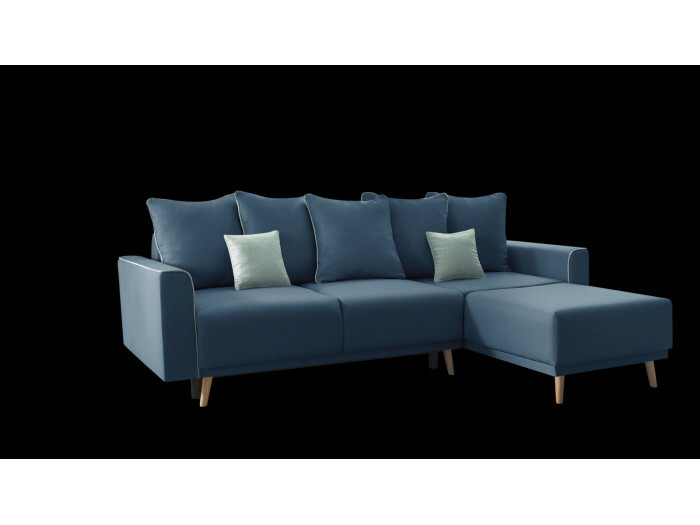 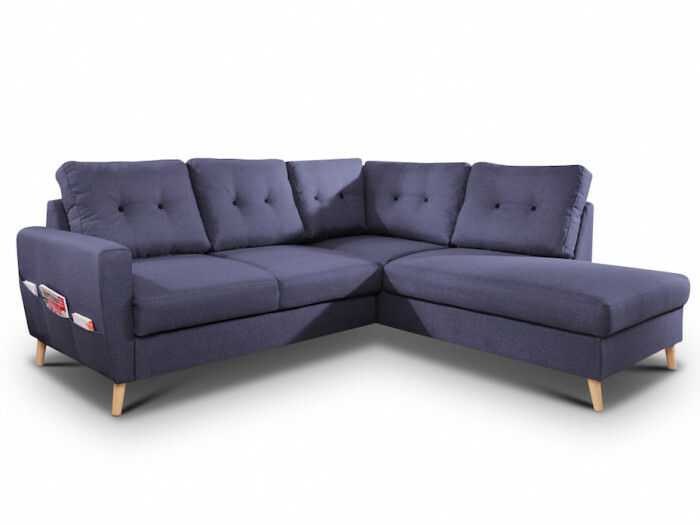 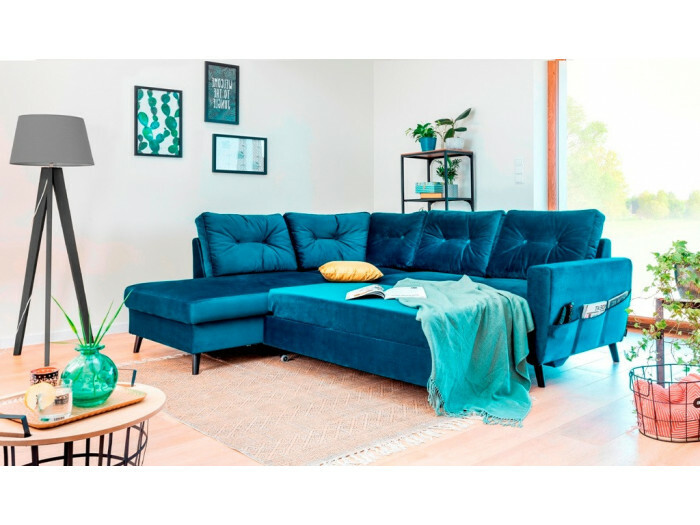 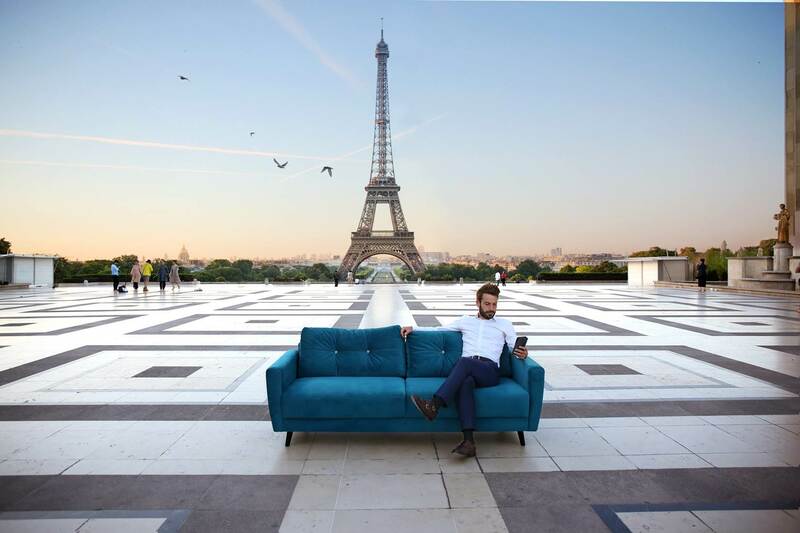 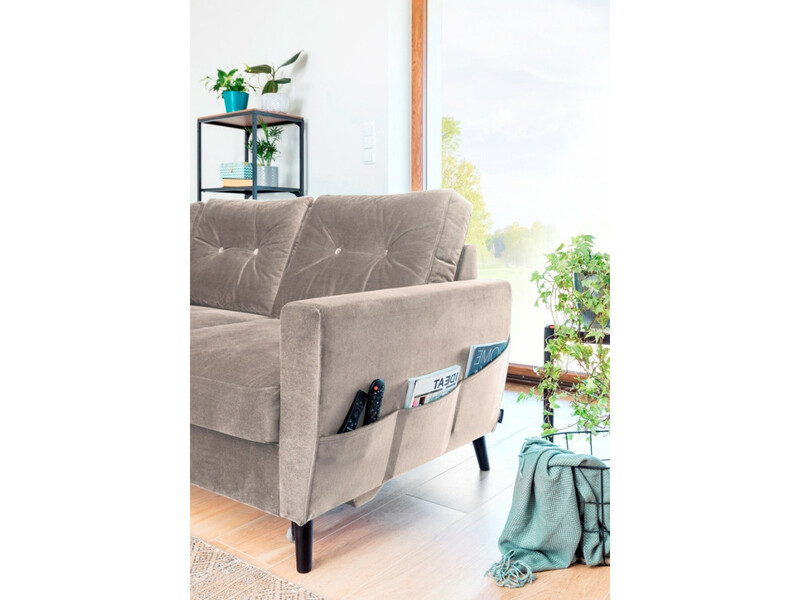 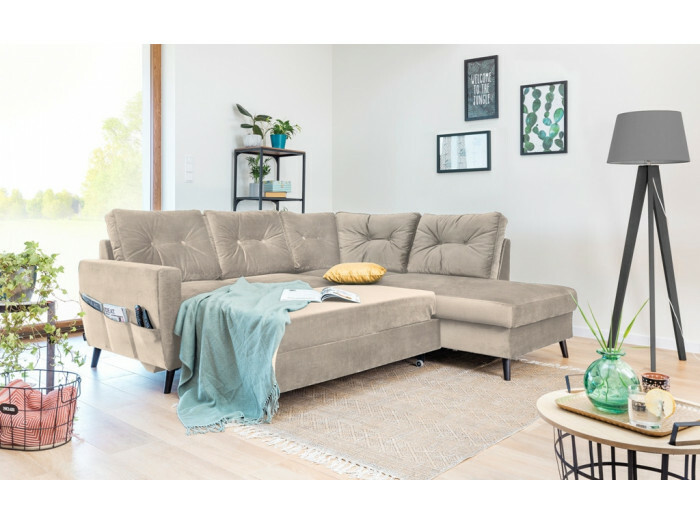 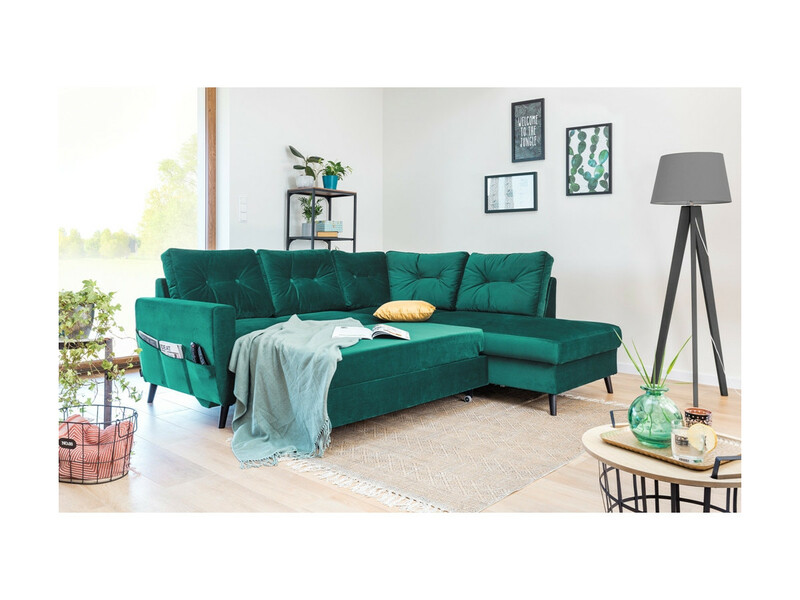 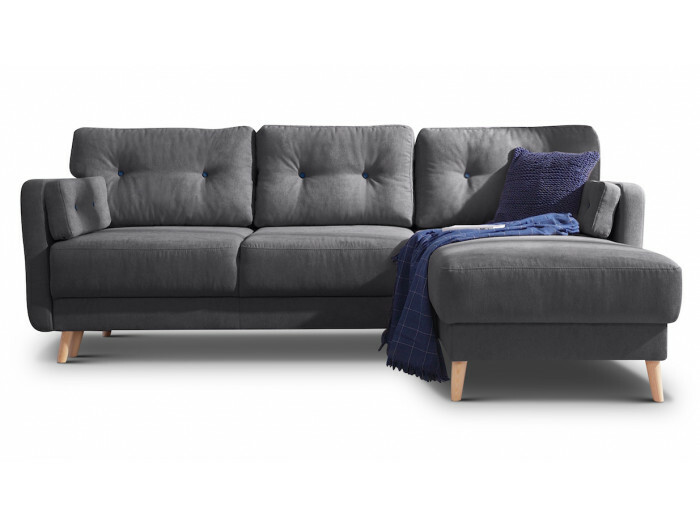 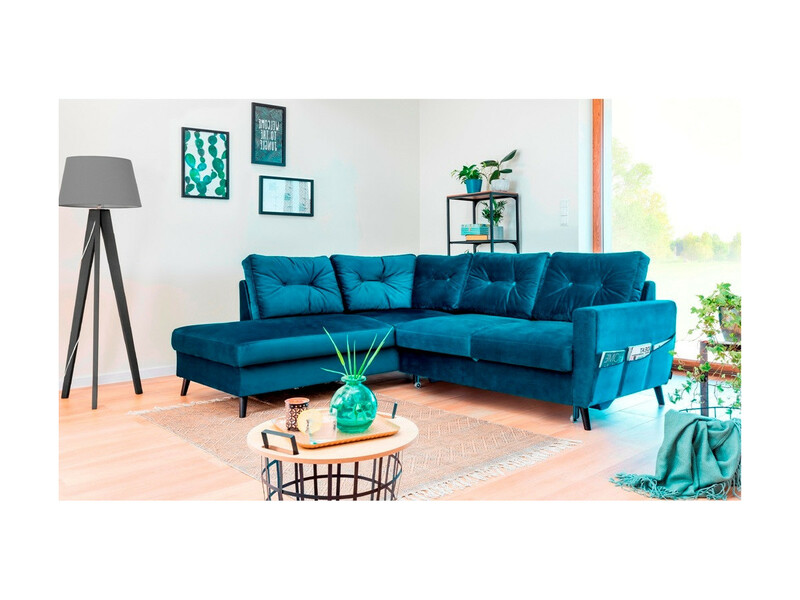 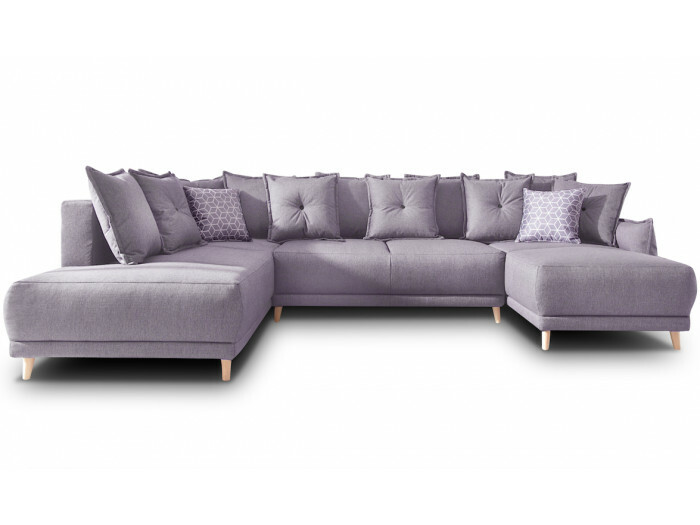 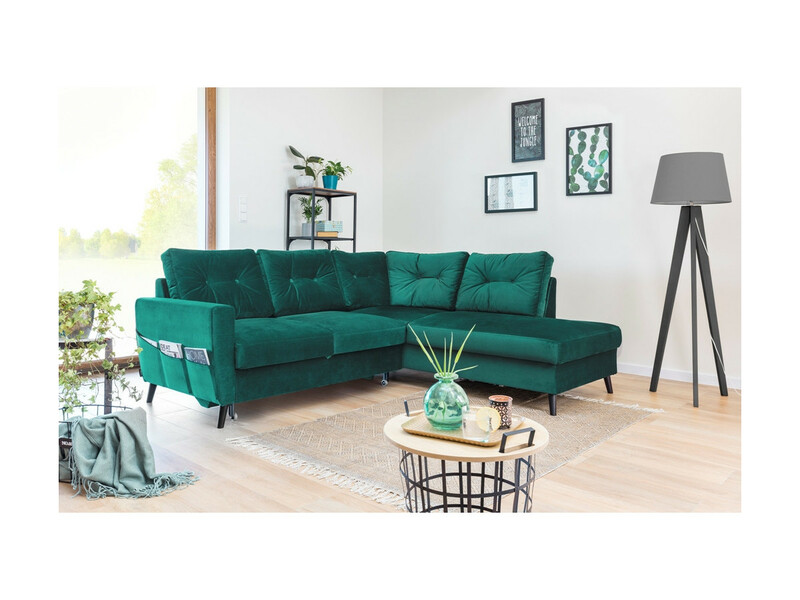 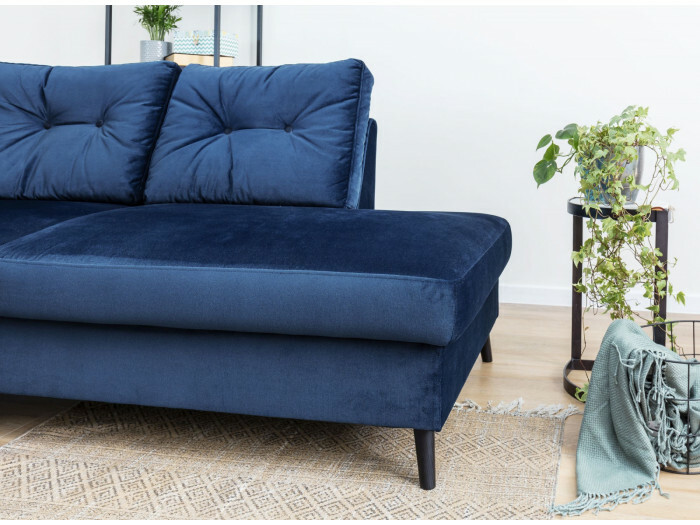 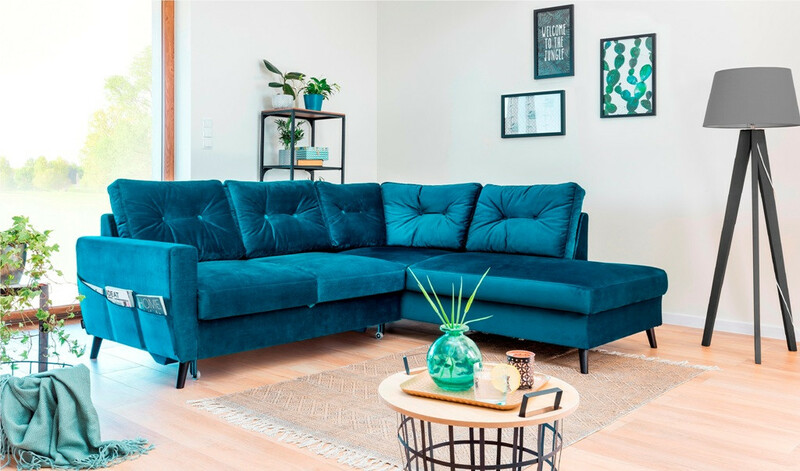 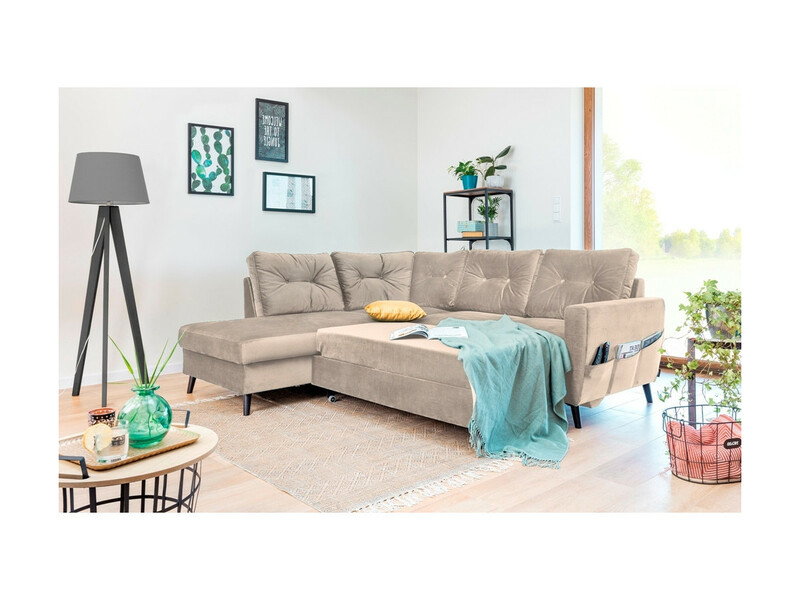 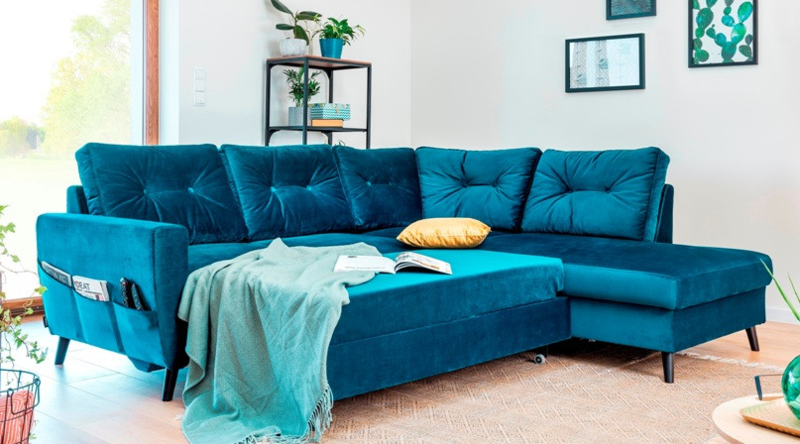 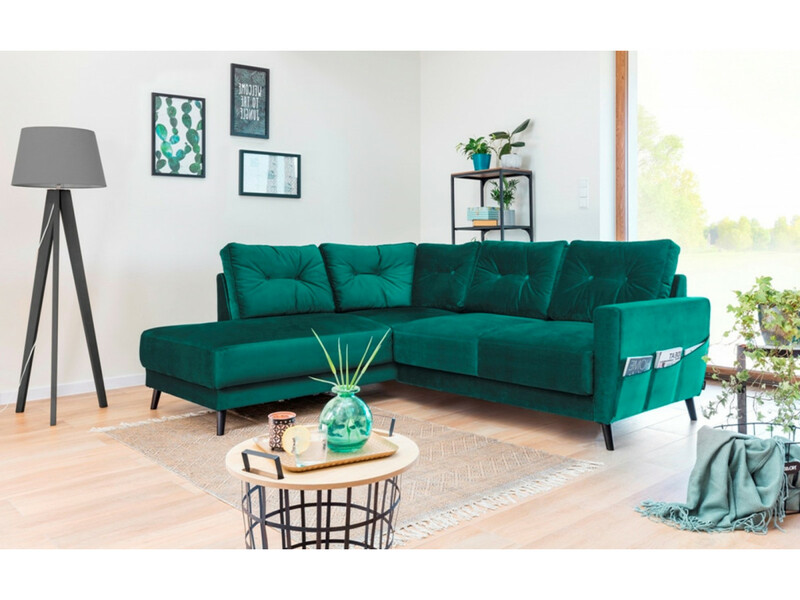 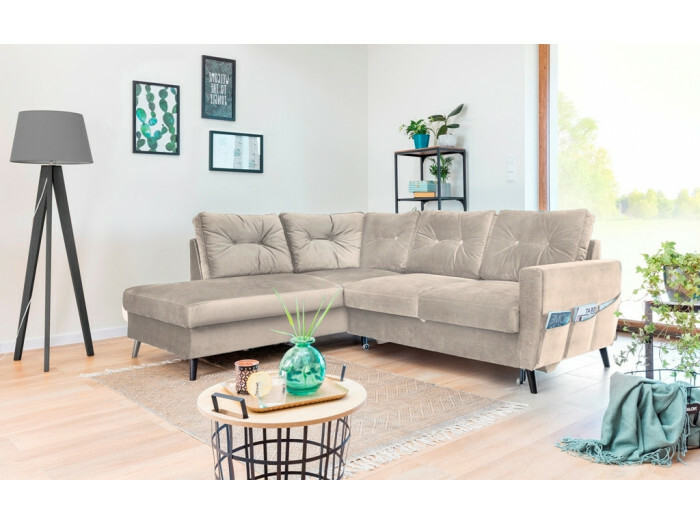 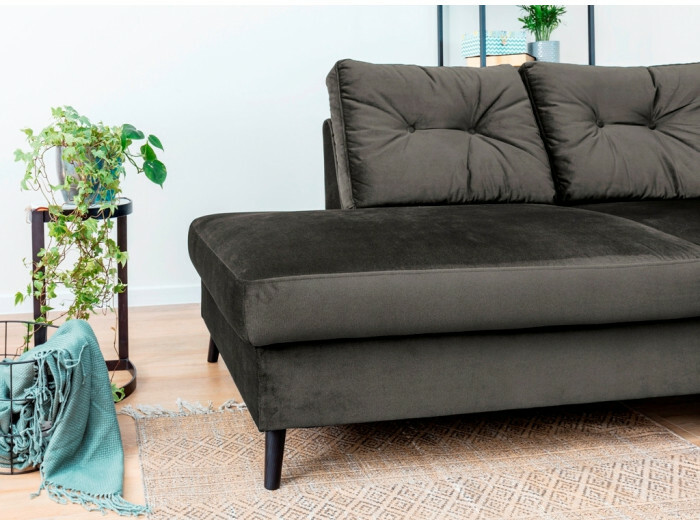 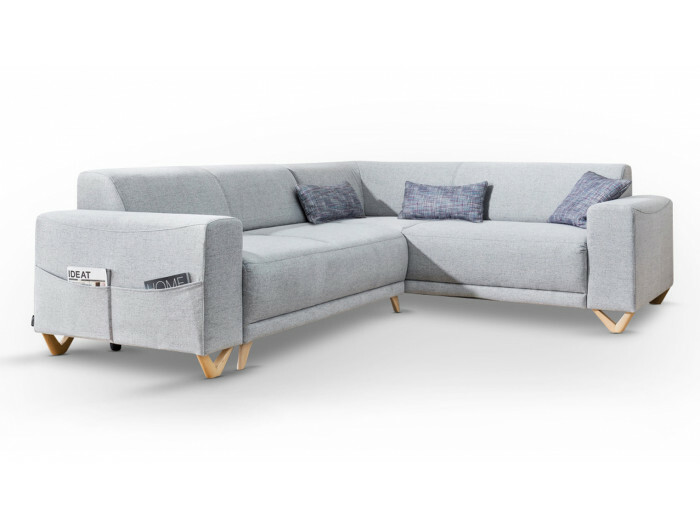 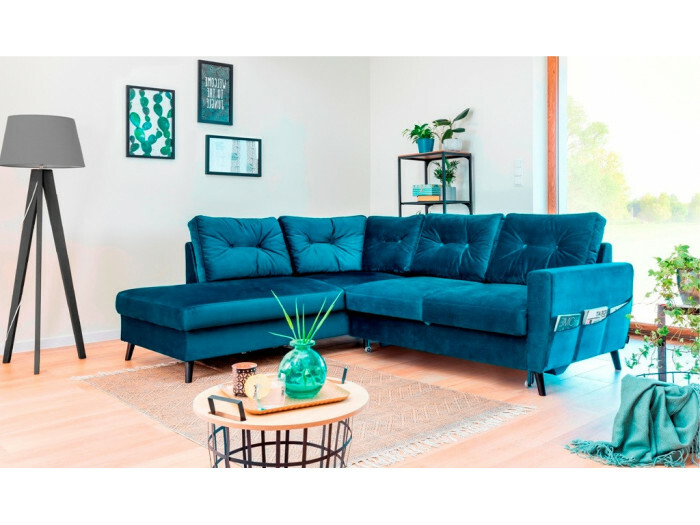 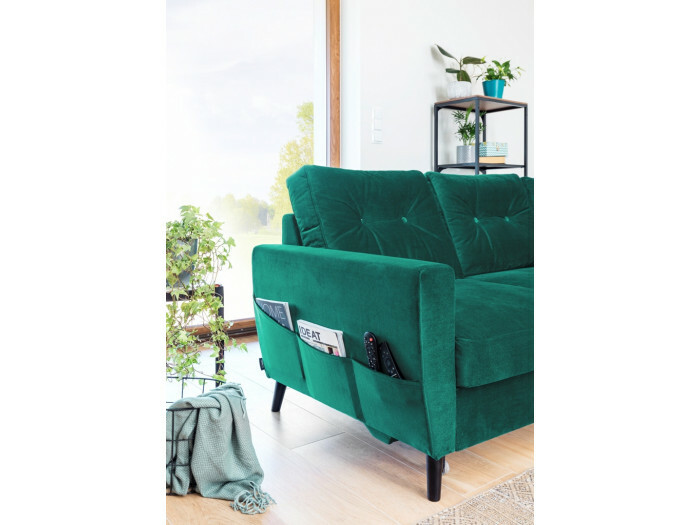 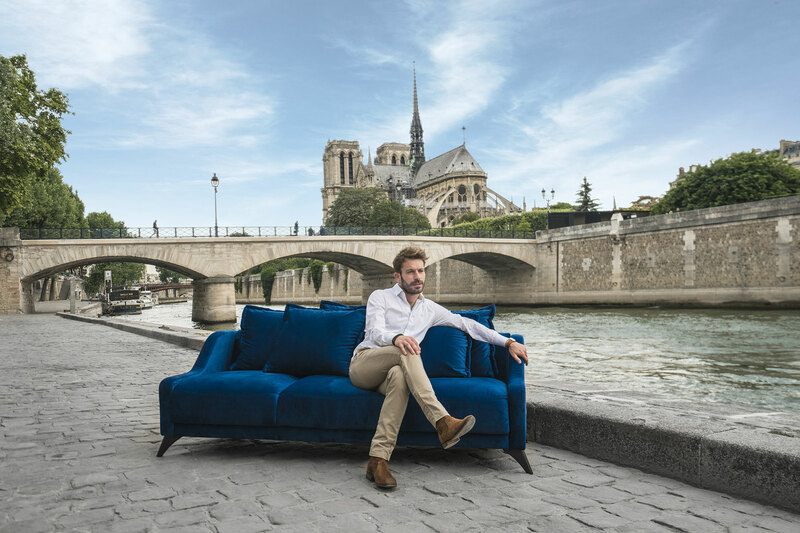 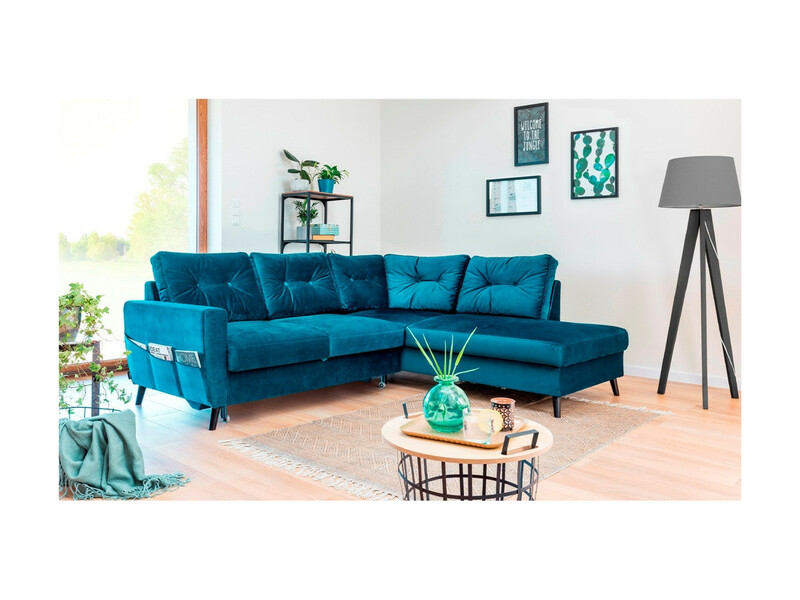 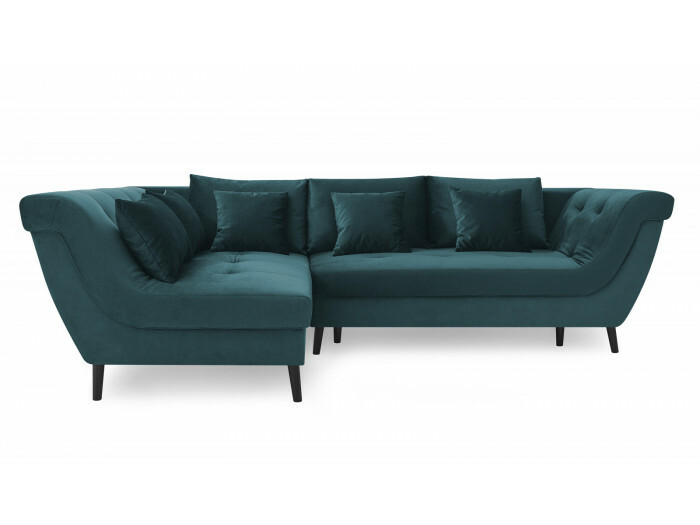 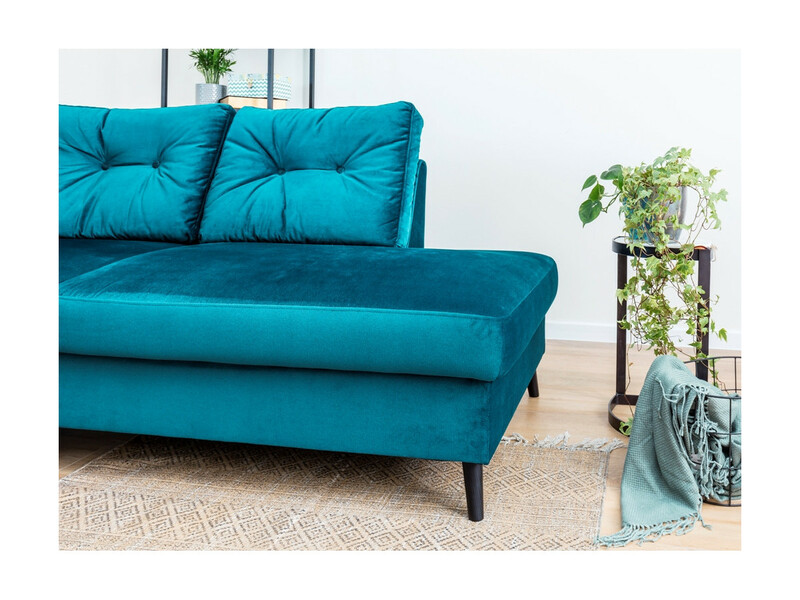 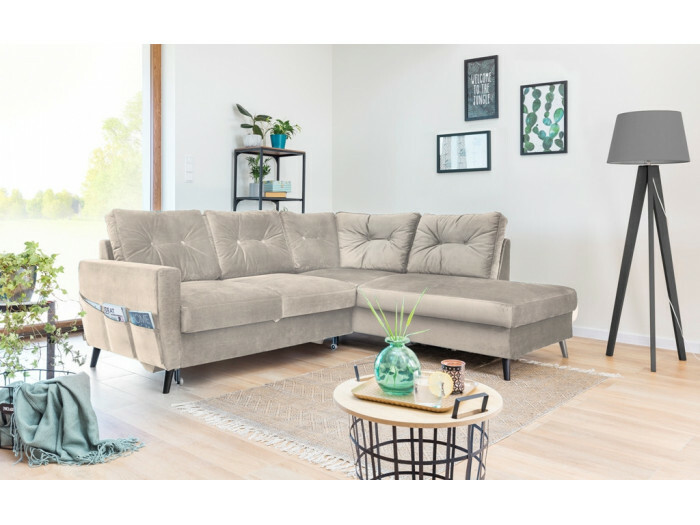 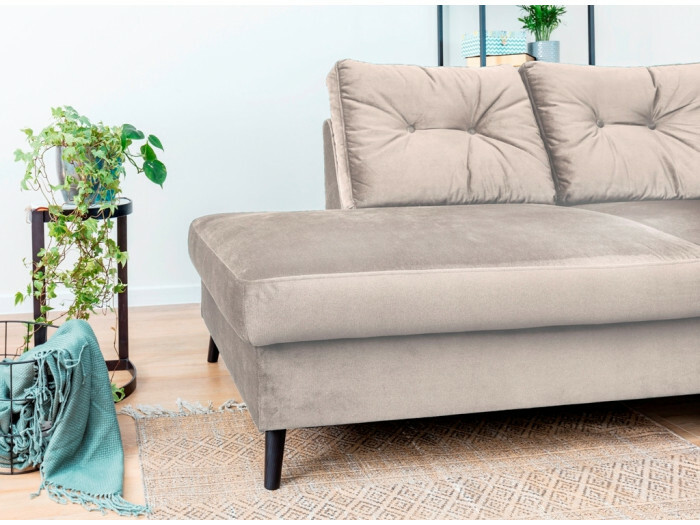 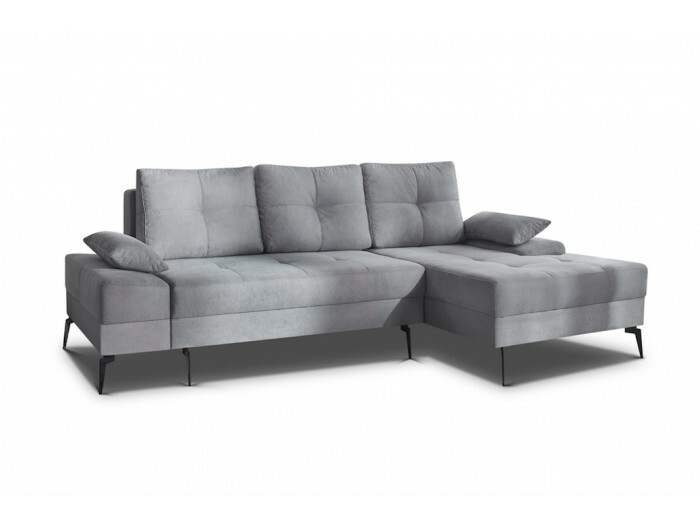 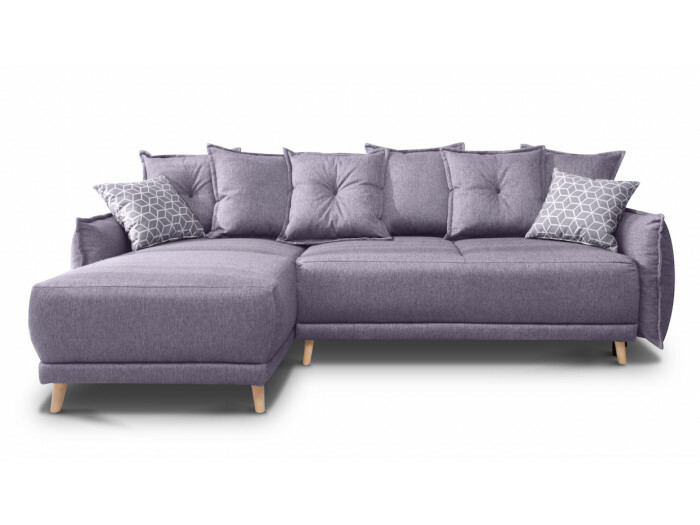 The corner convertible sofa velvet THE SCANDI has seats voluntarily thick for seating comfort really very appreciable. 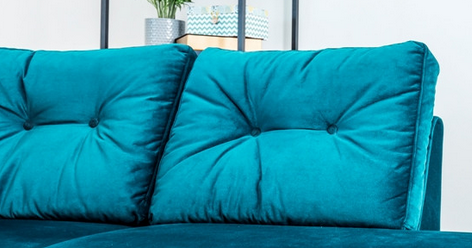 The buttons of the cushions are contrasted to give even more character to the sofa, this is the BOBOCHIC® Touch ! 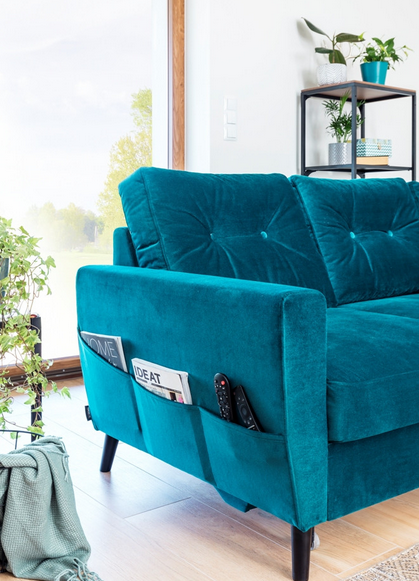 The velvet gives warmth to your interior, and it quickly turns into a sleeping.